A sanctuary has been created for one of the world's most endangered birds within the confines of a prison in County Antrim. 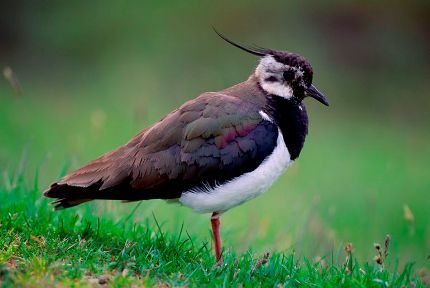 Life sentence prisoners helped create the habitat for around 20 pairs of breeding lapwings which have made their home at HMP Maghaberry on a marshy no-man’s-land dominated by razor wire and lookouts behind reinforced glass. 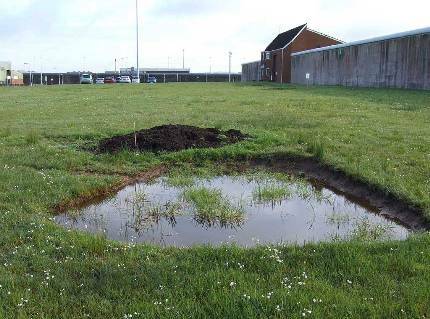 A combination of swampy short grass because of the clay ground left over from the prison’s foundations and the lack of predators like foxes has created the ideal conditions for breeding chicks, retired prison guard and gardener Denis Smyth said. The Northern Ireland breeding population was estimated as about 1700 pairs in 1999 but has declined since, according to the Northern Ireland Environment Agency. Mr Smyth worked as a warder at Maghaberry, which holds Northern Ireland’s most notorious inmates including dissident republicans opposed to the peace process. He tended the gardens inside the prison, an oasis of green inside multiple locked gates. Three years ago Northern Ireland’s environment department designated it an Area of Special Scientific Interest. A total of 60 different breeds of bird use the habitat.